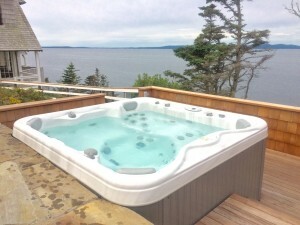 The spas feature great balance of size, therapy and special features as part of their standard design. Each spa includes a custom-fit cover that is designed with the spa shell to seal in the heat from the top. The Saratoga Special Edition line features Versa-Flo valves, Relax Stream waterfall, and Power Massage options as standard equipment. The Special Edition line comes with a 7-year warranty on the shell, 3-year warranty on the plumbing and a 2 year warranty on all components.